Image caption Chaidh amar-snàimh na cloinne a dhùnadh Dihaoine seo chaidh. Chaidh dearbhadh nach fosgail amar-snàimh na cloinne aig Aquadome Inbhir Nis às ùr gu Disathairne. Dh'innis Inverness Leisure Dihaoine seo chaidh gun robh aca ris an amar-snàimh a dhùnadh is pìob air bristeadh. Dh'innis iad an toiseach gum fosgladh an t-àmar às ùr Dimàirt, is an uairsin gur ann Diciadain a bhiodh an obair-càiridh deiseil. Tha e air nise air tighinn am bàrr ge-tà gur ann aig 9.00 sa mhadainn Disathairne a dh'fhosgaileas an goireas a-rithist. Thuirt a' chompanaidh gu bheil iad duilich 'son trioblaidean sam bith a dh'adhbharaich an gnothach. 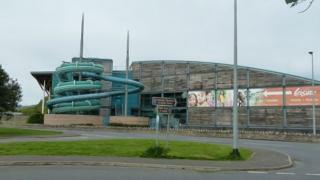 Tha an t-amar-snàimh mòr aig an Aquadome fosgailte mar as àbhaist. 'S e seo an dàrna turas am-bliadhna a thàinig air Inverness Leisure amaran-snàimh a dhùnadh, is an dà amar dùinte sa Ghiblean air sgàth trioblaid le uinneag ann am mullach an togalaich.